Spend $100 or more and receive $14.95 off your order(1 free). Use coupon code ORDER at checkout. Attractive and distinctive personalized luggage straps for your luggage and personalized tags for your all your bags. 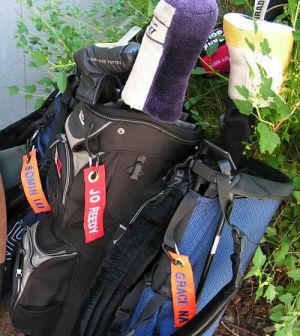 The colorful straps and tags will help you identify your luggage, sport duffels (golf, ski, tennis, etc.) and other baggage quickly. Available in 9 colors Durable, high-impact heavy duty snap buckle, slider and sturdy woven strap. Satisfaction Guaranteed! Customize your luggage straps and/or your bag tags with your business logo or artwork. Restrictions apply. Specify that you would like a quote for custom embroidering. Selling personalized luggage straps online since 2005. 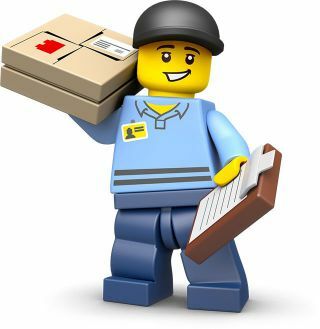 IDmyBag.com® is a registered trade name officially on file with the Colorado Secretary of State. 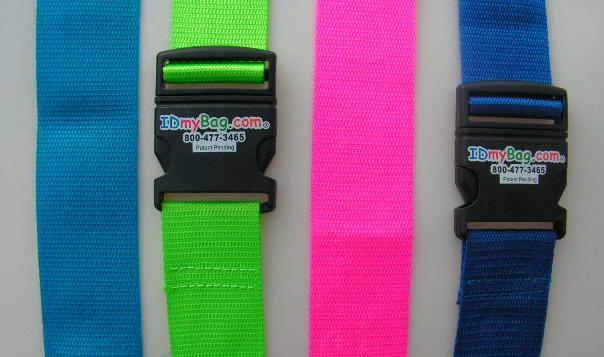 A patent is pending on the personalized luggage straps with the US Patent Office. In April, 2009, the trademark name IDmyBag.com® was approved as a registered trade name with the US Trademark Office. 3All we sell is luggage straps and bag tags. Why use anyone else! I can't believe it. I got much of my holiday shopping done with this site & it was so easy. What a relief. It has been a pleasure doing business with this company. 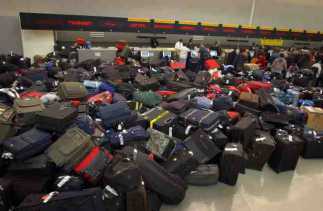 They go beyond the call of duty to ensure that you receive the luggage straps that you want. Communication is excellent! You clearly have amazing Customer Service. Thank-you for getting back to me so quickly...I was starting to have a bit of a panic attack and you alleviated that! Can’t wait to get my luggage straps . . .
© Copyright © Ribbon Recyclers, Inc. All Rights Reserved.